FREE! 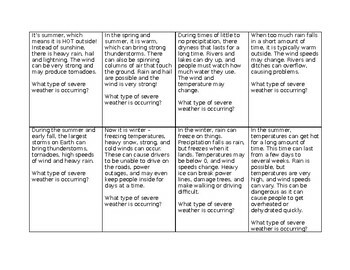 Severe weather matching cards. 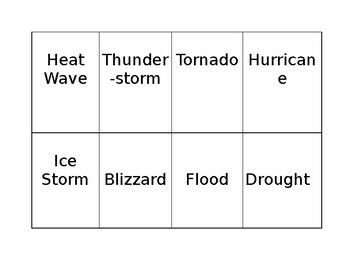 Includes names and definitions of 8 types of severe weather: hurricanes, tornadoes, drought, flood, ice storm, blizzard, heat wave, and thunderstorm. Great center activity or small group activity to reinforce science vocabulary.